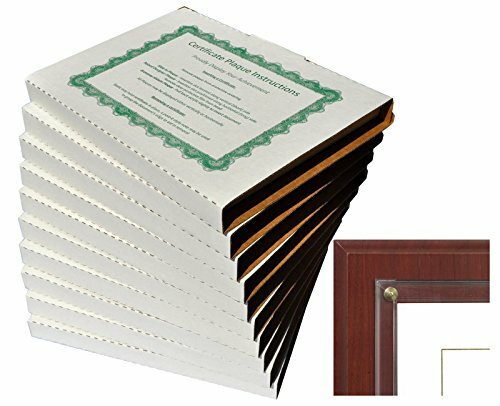 To insert certificate, be sure to look for the slot on one of the short sides. If you have difficulty sliding it in all of the way, pry up the plexiglass slightly with your fingernails in the middle of one of the long sides as you insert it. To remove the certificate, use the same trick while tapping on the opposite end. Walnut Grove takes pride in manufacturing high quality, American- made products. Our history goes back to manufacturing wood products for the U.S. Army during WW1. With each family generation through present day, came new business ideas and diversification of wood products. This commitment has made us one of the largest and most popular U.S. suppliers in the industry.